There are two critical deadlines that must be met. Identify a replacement property in writing to an intermediary, specifying the property you want to acquire. You can identify three potential properties for the exchange as long as you eventually close on at least one of them. The identification of the property must be specific and not ambiguous. As an alternative, the 200% rule allows you to designate more than three properties, which may add up to a maximum of 200% of the exchange value. The proceeds from the sale of the property must be held by a qualified intermediary, also known as an exchange accommodator. To avoid taxes, the total value of the replacement property or properties must be equal to or greater than the relinquished property. 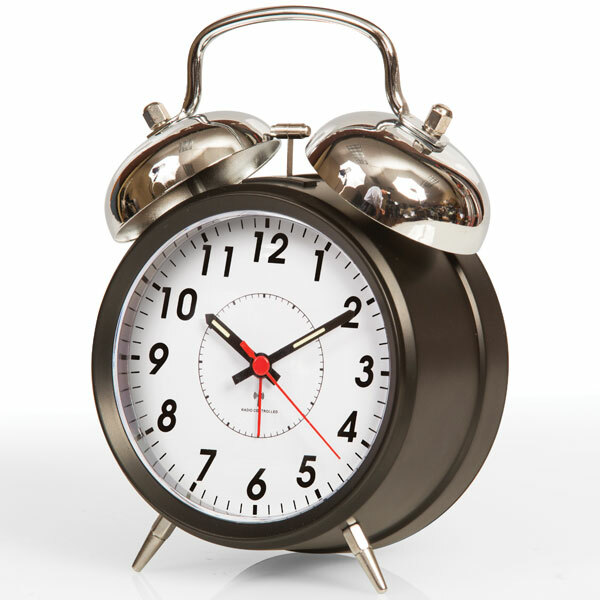 You MUST close on the new property or properties within 180 days of the sale of the old or relinquished property. 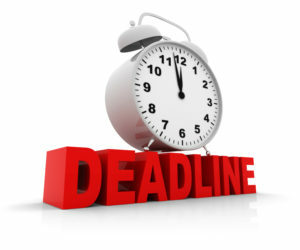 The countdown on both deadlines begins simultaneously when the sale of your property closes. There’s no limit to the number of times you can do an exchange so you only have to pay taxes on the final sale for which you want to realize or cash-out on the gains. NOTE: 1031 Exchanges can only be executed with investment and business property, not primary residences. According to the IRS, properties are of like-kind if they’re of the same nature or character, even if they differ in grade or quality. Real properties generally are of like-kind, regardless of whether they’re improved or unimproved. How do I find a like-kind property within 45 days? Why is broker expertise important? There are thousands of properties listed, many expired or no longer available. Some have encumbrances or other issues that could delay the process impacting your ability to close or your timeline, or both, not to mention the hours of your own time you’ll have to put in to do the research. An experienced broker can take all of that stress off your plate and provide you with a fully researched list of viable properties that meet or exceed your criteria. 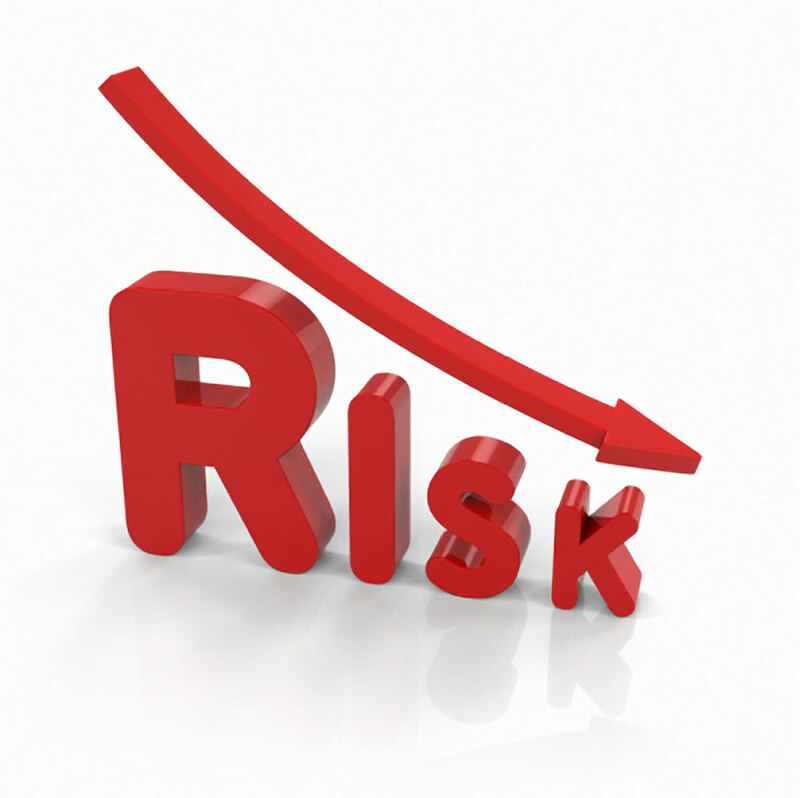 All real estate investments carry risks. Nothing in this post shall be construed as tax or investment advice. A buyer and their tax, financial, legal, and construction advisors should conduct a careful, independent investigation of any property to determine to your satisfaction the suitability of the property for your needs. A sale-leaseback arrangement is useful when a property owner needs or wants to gain access to cash, or wants to divest from a property but maintain the existing operation on the site. The sale-leaseback option will allow the property owner to access the equity in their property and reinvest the funds in the business. The lease agreement is executed at the same time as the sale. The seller of the property becomes the tenant while the buyer becomes the landlord. Invest in marketing, new team members, inventory, etc. Since sale-leaseback investors get the tax benefits of owning and depreciating the property, the seller can often be successful in obtaining a lower cost for capital than the cost for debt. The buyer can ask for the opportunity to review the tenant’s financials to gauge their financial health and stability. In the majority of lease agreements already in place at the time of the purchase of a property, the buyer has less negotiating power to request access to financials. Listen to my conversation with Jim White of Katz Sapper & Miller on how restaurant owners, who also own their properties, can benefit from sale-leasebacks. Investors will often hear that there are many benefits to triple net leases but for those who may be exchanging from multi-family, land, or manufactured home parks—or new investors that may have inherited property—the benefits of the triple-net, may not be clear. For the purposes of this article we will conduct a Time/Money/Risk analysis on the triple net lease, which is where, in addition to paying the rent, the tenant-–and not the landlord–-is responsible for paying some or all of the building’s operating expenses such as insurance, taxes, maintenance, repairs, and utilities. 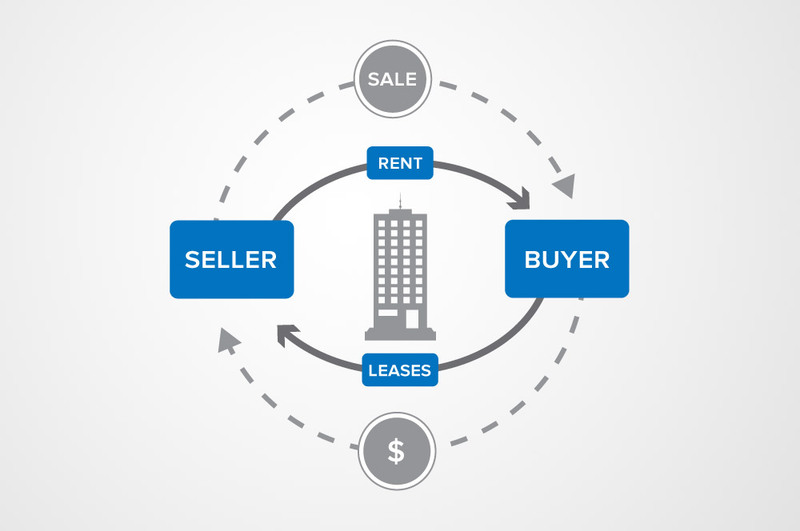 The triple net lease, whether on a single-tenant or multi-tenant property, affords the property owner the most freedom in terms of time and flexibility thanks to its hands-off management structure. With NNN properties, landlords can avoid the typical property management obligations and hassles to enjoy more time to dedicate to things they prefer to do. 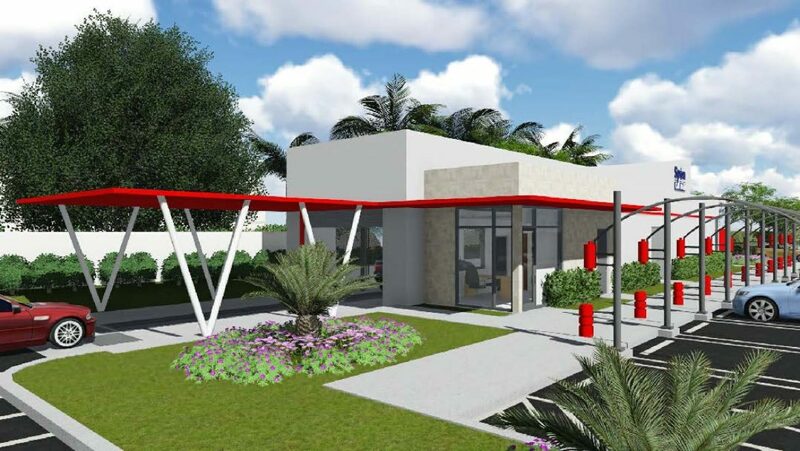 As noted earlier, in a triple net lease, also known as NNN, the tenant pays for and manages all of the building’s operating expenses, real estate taxes, insurance, and maintenance, freeing the property owner from the responsibility and hassle. Triple net lease properties often attract corporate-backed credit tenants. Long-term leases with credit tenants allow your investment to grow and weather economic cycles. Triple net properties allow property owners to receive a steady and predictable stream of income from a reliable source every month with minimal management and attention. Single-tenant net-leased properties attract an array of corporate-backed credit tenants that provide greater long-term reliability. Triple net leases often have built-in increases that offer opportunities for better planning for both the tenant and landlord, and provide a hedge against long-term inflation risk. In addition, they also often have options to extend in five or 10-year increments. Triple net-leased properties tend to offer less risk than other commercial real estate investments that have tenants with non-investment grade credit profiles, although no investment is risk-free. Triple net-leased properties have longer-term leases that provide greater stability and reduce risk and worry. Ready to invest in a triple net property? Contact us at: 954-245-3416. Q: What is a single-tenant property? A single-tenant property is a freestanding retail, office, medical, or industrial building that is leased and occupied by one tenant, user, or company. 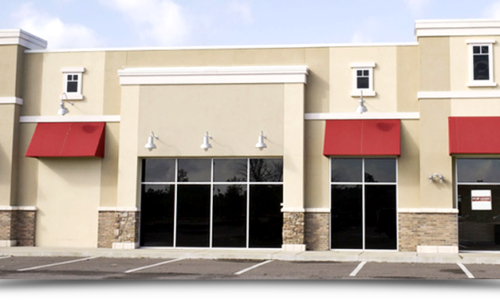 Q: What is a net lease? A net lease is a type of commercial lease between a tenant and property owner where, in addition to paying the rent, the tenant–and not the landlord–is responsible for paying the rent as well as some or all of the building’s operating expenses such as insurance, taxes, maintenance, repairs, and utilities, depending on the type of net lease agreement. Q: Which one gives me the most freedom? The triple net lease affords the property owner the most freedom and flexibility. Want to learn more? Watch our video here! On the same day, it was revealed that the company opened the first of its new e-commerce fulfillment centers in Memphis, TN. Interestingly, both announcements were made by Jamie Iannone, CEO of SamsClub.com and EVP of membership and technology. I see this as a sign of things to come as e-commerce, fulfillment centers and brick-and-mortar locations merge in an omnichanneling landscape. In so many ways, Walmart is ahead of the game on this one. They have 660 Sam’s Clubs ands 4,672 Walmarts in the U.S. for a total of 5,332 sites. Amazon has 75 fulfillment centers and 412 Whole Foods. 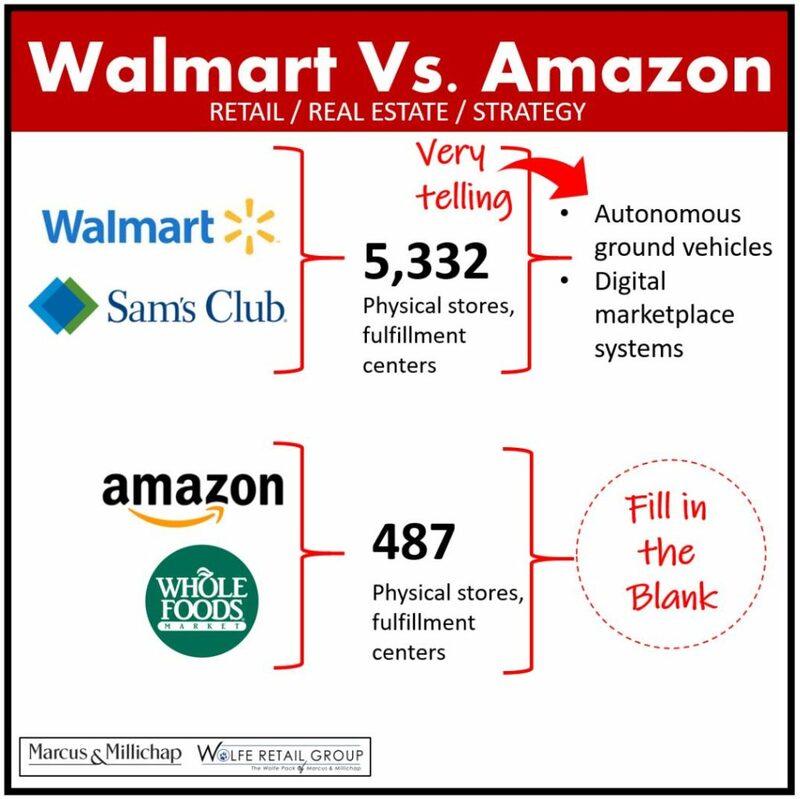 This tells me that Walmart is in an excellent position to achieve penetration across a broader spectrum of markets, those that are e-commerce-friendly to slow adapters, from the coasts to rural areas. And, it also tells me that Amazon isn’t likely to sit by on such an unbalanced equation. They are likely to make a move that will allow them deeper market penetration, faster deployment, and access at a localized level. What will give them that advantage? My inclination is toward drugstores. They’ve tackled food through Whole Foods, whose consumers mirrored their own customer profile and gave them grocery market entry via a physical location in a demographically-aligned trade area. Next, would be medicine/drugstores/beauty. I’ve said this before as it gives them entry into a growing market segment (beauty) while gaining a foothold in a recession-resistant category (medical/drugstores). I’m not the only one thinking this is their next move. CVS is rolling out delivery for prescriptions and some over-the-counter medicines as it is said to be bracing for Amazon’s possible disruption. (Read more here: https://www.cnbc.com/2018/06/19/cvs-starts-drug-delivery-as-it-braces-for-expected-amazon-disruption.html) The drugstore’s merger with Aetna makes it an even more interesting player as Amazon has been making various supply-side moves. What will be Walmart’s next move? What will be Amazon’s next play? Job growth remains steady, with gains averaging 174,000 positions per month over the past year. This has resulted in the unemployment rate reaching the lowest level since 2001. Net-leased development remains the predominant sector of overall retail construction. Of the approximately 60.4 million square feet of retail space delivered over the past year, more than 46 million square feet was composed of single tenant net-leased retail. Dollar stores, quick-service restaurants, and pharmacies are the single-tenant concepts that have experienced the most construction activity in 2017. Driven by investor desire to shift their portfolios toward less management-intensive assets, 1031-exchange volumes make up a considerable portion of the net-lease marketplace. So far in 2017, exchange-related buyers encompass more than 40 percent of transaction volumes. As a result, the status of this tax provision moving forward will remain a major driver of deal ﬂow and investment demand. Any potential changes to the tax code that significantly impact 1031 Exchanges would have a serious impact on this sector so it is certainly something to watch closely. Overall, leverage on acquisition loans has continued to reﬂect disciplined underwriting, with LTVs typically ranging from 60 percent to 70 percent for most retail properties. Going forward, The Federal Reserve’s plans to normalize its balance sheet will place upward pressure on interest rates. The Net Lease Report also includes a summary of credit rating, number of locations and range of cap rates related to sales by several different brands and sectors. Download the report below. As always, at the Wolfe Retail Group of Marcus & Millichap, we are available to discuss this information in depth, including any impact this may have on any of your projects. We remain optimistic that 2018 will be another strong year for our sector of the commercial real estate industry. Feel free to message me via LinkedIn. Many unknowns assuredly await investors in the coming year. 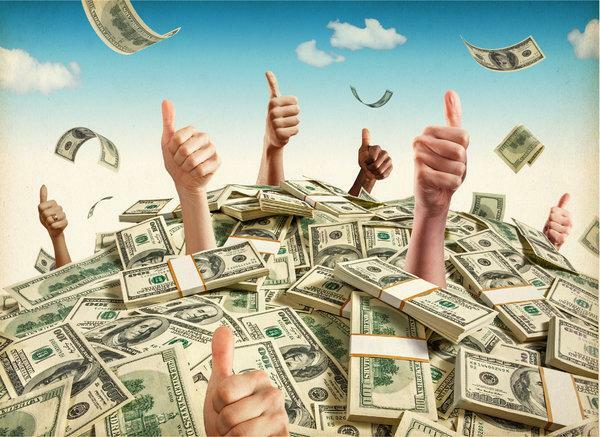 Prospects of consistent economic growth alongside rising interest rates, a potentially more aggressive Federal Reserve and a range of decisions expected to come from the White House and Capitol Hill merit scrutiny. We hope this report provides useful insights that will help our clients navigate the shifting landscape. Click below for this full report. Markets in Western states are well represented in this year’s National Retail Index (NRI). Seattle-Tacoma climbed two places to claim the top spot in the ranking, pushing last year’s highest-ranked market, San Francisco, down to the second position. Other Western metros in the top 10 are Los Angeles, Salt Lake City and Portland. Raleigh announces its debut in the Index by securing the seventh position. Another Southern metro, Nashville, vaults from slightly outside the top 10 to the fi fth rung in 2017 behind projected low vacancy and a robust gain in the average rent. A tightening labor market will trim job creation to 2 million new positions in 2017 from more than 2.2 million hires last year. 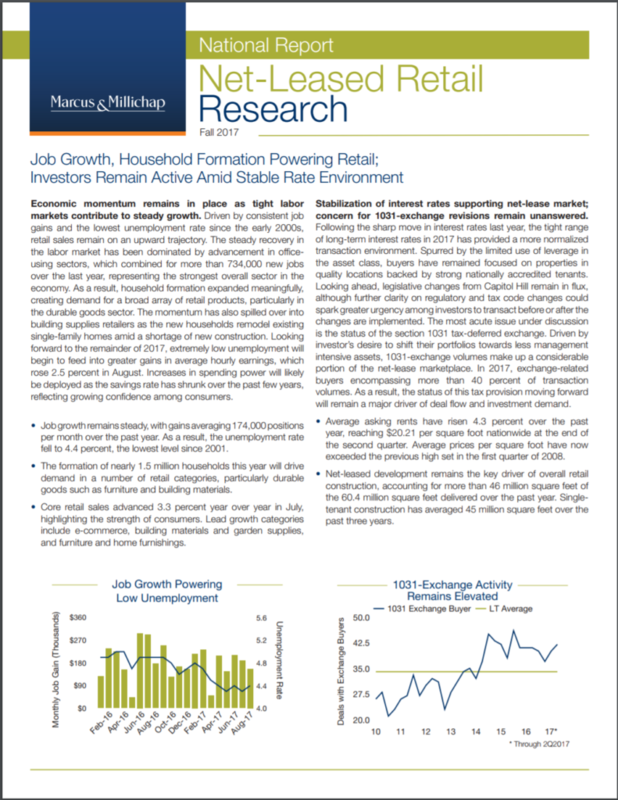 Wage growth began to gather momentum last year and increases will continue this year as labor market slack tightens, promoting additional retail spending. An increase in consumption and business output as well as more robust residential construction will support GDP growth in the 2.5 percent range in 2017. 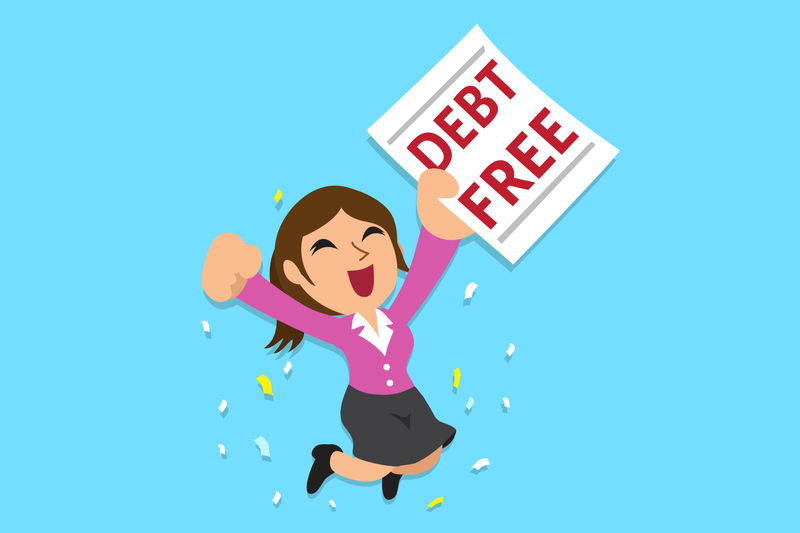 The availability of consumer and business credit is expanding. Some uncertainty hangs over the economic outlook as the Trump administration begins to assemble an economic agenda. Tax cuts and infrastructure spending are assumed to be primary components of any economic legislation. The retail sector continues to flourish despite the expansion of online retailing. Several value- and service-oriented retailers lead a list of scheduled store openings this year that will help generate 81 million square feet of net absorption and a reduction in the national vacancy rate to 5.1 percent. The emergence of online distribution combines with tighter construction lending and investor caution to restrain development. This year’s projected completions of 49 million square feet mark a decline from 2016. Changes are occurring at the property level, with many owners subdividing vacant anchor spaces to add restaurants and service providers as strategies to enhance property performance. Following an increase in the yield on the 10-year U.S. Treasury, investors have adapted their underwriting models to reflect arising interest rate environment. Debt markets remain liquid, providing solutions and sources for a range of capital needs. Leverage on acquisition loans refl ects disciplined lender underwriting, with LTVs typically ranging from 55 percent to 65 percent for most retail properties. The combination of higher rates and conservative lender underwriting encouraged some investor caution that slowed deal fl ow in late 2016, a trend that will likely extend into 2017. Lenders will continue to scrutinize properties’ exposure to underperforming chains and vulnerability to e-commerce this year. Banks stepped in to capture greater market share last year as CMBS issuance eased in response to new risk-retention standards under the Dodd-Frank law. The prospects of major changes to Dodd-Frank could materially change CMBS standards this year, but revisions will likely emerge slowly. Overall pricing and cap rates have surpassed pre-recession levels, driven by trends in primary markets. Many secondary and tertiary metros offer unique opportunities as prices remain below the prior peak, and these markets are eliciting interest from investors. The rising popularity of online shopping is pushing investors to revise tenant mixes as a means to create additional value. Owners are turning to retailers that are difficult to disintermediate through online options.